All of our true photographic prints are created using the silver halide process on Kodak Professional Endura professional photo printing papers. So not only are our true photographic prints fast and inexpensive but they are one of the longest lasting, durable and highest quality photographic prints you can buy. All of our printers are carefully monitored for their quality and colour output. By default – none of the images we print are colour corrected in lab to ensure you are getting the most accurate reproduction of your images. Colour correction is available if selected during the ordering process which will ensure each of your prints are adjusted individually by our in house colour experts! This is our default paper type and for good reason! Kodaks professional grade Endura lustre stock is more expensive, thicker, longer lasting and has better colour reproduction qualities than any other stock. Its surface is slightly textured – an excellent stock for prints that will be handled. 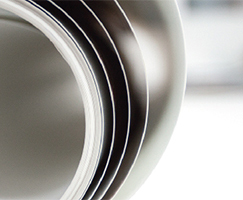 Our sizes available for true photographic lustre paper ranges from 3×5″ up to 30″ by as long as you like. Our metallic paper is true photographic print with a distinctive, eye-catching, super glossy, metallic look. There is no better way to produce metallic prints than using silver halide and there is no better metallic paper than the Kodak Professional Endura Premier Metallic Paper. With an increased colour gamut our metallic paper has stronger, brighter, more vibrant colours. For punchy, colourful images give this premium paper a try. Our sizes available for true photographic metallic paper ranges from 8×12″ up to 30″ by as long as you like. Gloss is as glossy as it sounds – even glossier. Once upon a time all photographic prints were done on gloss until the scratch and finger print resistant Lustre paper was developed, these days gloss has a niche place in the photographic community. We now only stock 12 inch rolls of gloss paper, gloss is available from 8×12″ up to 12×36″. SEND ME A SAMPLE PACK! We have a variety of mounting options available for our true photographic prints. You can choose a substrate mount which is ideal for making your images easier to frame and temporary display, or our ready to hang options which are a modern and great way to hang your images without the need for framing. All of our mounted lustre prints come with a sand textured coating which is a laminate with a similar surface to that of the lustre print itself. It give the print a finished look, UV protection and makes it easier to clean. This laminate is optional for mounted metallic prints and when applied gives an amazing pearl finish. Please note: Our daily cut off for orders is 10am. Printed every Wednesday and Friday. Should you require products quicker than the standard turnaround (for example Metallic completed the same day), you may pay a 50% extra for priority service (call the lab for Rush Order service times. Please note these may vary). Download our price list or you can view all of our product prices within the Streets Online Ordering Software (SOOS) here.